FIRST PROGRESS REPORT OF THE CHAIRPERSON OF THE COMMISSION ON ACADEMIC MOBILITY SCHEME IN AFRICA I. INTRODUCTION 1. This report is submitted as a follow-up to the pledge I made during the Joint African Union (AU) Commission – Permanent Representatives’ Committee (PRC) Retreat, held in Cairo, Egypt, from 10 to 11 December 2017, and the interaction I had with the PRC on 7 March 2018. The report highlights the efforts of the Commission to facilitate academic mobility for both employment and study across the continent and concludes with recommendations on the way forward. 1. This report is submitted as a follow-up to the pledge I made during the Joint African Union (AU) Commission – Permanent Representatives’ Committee (PRC) Retreat, held in Cairo, Egypt, from 10 to 11 December 2017, and the interaction I had with the PRC on 7 March 2018. The report highlights the efforts of the Commission to facilitate academic mobility for both employment and study across the continent and concludes with recommendations on the way forward. 2. Building Africa’s higher education and research capacity is a top priority on the African development agenda. A key challenge to the development of Africa’s higher education in science and technology is the low level of postgraduate training opportunities and research outputs. The situation at graduate level in terms of access and quality is dire, and this is a serious problem as post-graduate training is a key element for sustaining university research, which provides a source for competent academic staff. Many higher education institutions in Africa do not yet have adequate research capabilities, thus making their contributions less relevant to development needs. Moreover, research in universities has often been neglected due, among others, to poor equipment and increased teaching workload as a result of enormous expansion in undergraduate enrolment. 3. Several studies show that the output of academic research and innovation in Africa is very low and that, as a result, the scientific gap with the rest of the world is widening. Africa's capacity for research and knowledge creation is not only increasingly marginal, but also the least competitive in the world. It is, therefore, imperative to lay greater emphasis on promoting postgraduate programs and enhancing research activities. Africa as a whole requires a comprehensive program at the Masters and doctoral levels. It is equally imperative to build research capacity in African universities by strengthening graduate level education and centers of excellence in science and technology. 4. The Continental Education Strategy for Africa (CESA), adopted by the Assembly of the Union at its 26th Ordinary Session held in Addis Ababa in January 2016, and the Science, Technology and Innovation Strategy for Africa (STISA) adopted by the Assembly of the Union at its 23rd Ordinary Session held in Malabo in June 2014, call for the revitalisation of higher education and research in Africa, emphasizing the need for enhanced intra-African collaboration and more robust linkages between higher education and research. 5. The Pan African University (PAU) was established from the realization that higher education and research in Africa needed to be rehabilitated and anchored in the collective vision of the AU. The PAU is a continental network of post-graduate teaching and research institutions within selected existing high quality universities in the five geographic regions, promotes student mobility in Africa and facilitates intra-regional networking for academic researchers. Similarly, the Mwalimu Nyerere Scholarship Program was launched in 2007, with the aim of contributing to the production and retention of high caliber African human capital in critical development areas, while promoting regional integration through intra-African mobility of students. 6. Diverse systems of higher education have resulted in the lack of universal recognition of university degrees, thus constraining academic integration and the mobility of students across the continent. To address these issues, the AU Commission has developed a strategic framework for harmonization of higher education programs to foster comparability among qualifications and to facilitate professional mobility for both employment and further study. This framework is in line with the CESA, which recognises that harmonized education and training systems are essential for the realisation of intra-African academic mobility and regional integration. (v) to ensure that African higher education institutions become an increasingly dynamic force in the international higher education arena. 8. In accordance with Agenda 2063, the Heads of State and Government expressed their commitment to setting up a mechanism for harmonization of quality assurance processes and mechanisms to ensure comparable higher education in Africa. The First Ten-Year Implementation Plan of Agenda 2063 seeks to establish an African Accreditation Agency to develop and monitor educational quality standards across the continent. Additionally, the Joint AU-European Union (EU) Strategy underlines the crucial role of higher education for economic and social development, and the strong potential of academic mobility to improve quality of higher education and facilitate mutual recognition of qualifications. 9. The Intra-Africa Academic Mobility Scheme is a collaborative initiative under the Joint AU-EU Strategy for Higher Education. It was launched in 2010, with support of €35 million from the EU, and is managed by the European Commission Executive Agency, in collaboration with the AU Commission through the Human Resources, Science and Technology Department. The Scheme facilitates the mobility of students and academic staff to strengthen the recognition of qualifications and cooperation between higher education institutions from different countries and regions across the continent. It grants scholarships for partial (short-term) and full Masters degrees, as well as PhD programs. (v) reinforce capacity of African academic and administrative staff in managing mobility flows within the frame of inter-institutional exchanges. 11. The intra-Africa academic mobility scheme complements the AU’s integration process, as Africans graduating from or employed by Africa-based academic institutions will have the possibility of working everywhere on the continent. It facilitates skills portability by increasing the continent’s pool of expertise that is relevant for Africa’s development. 12. The first phase of the academic mobility scheme was implemented through three calls made between 2011 and 2013, with funding of €35 million from the EU. In the second phase, two calls were made in 2016 and 2017, with funding of €20 million from the EU to be granted for successful university partnerships. 13. At individual level, the beneficiaries of the Academic Mobility Scheme had their qualifications upgraded and skills improved, and they were able to acquire better career perspectives. So far, 1,255 African individuals (722 Master students, 346 Doctoral candidates and 187 staff) from 43 Member States have benefited from this scheme (see Annex I for the Intra-Africa Mobility Scheme distribution per nationality). 14. For participating higher education institutions, the major successes were enhanced capacity through the establishment of new agreements with various universities, increased research projects and publications, upgrade of qualifications for the academic staff and improvement of international relations. Other achievements include enhanced proficiencies for academic mobility management, agreed curricula and mutual academic recognition mechanisms. 15. Altogether, twenty-nine (29) university partnerships involving ninety-seven (97) African higher education institutions from thirty-eight (38) Member States are participated in the academic mobility scheme. The list of participating universities is shown in Annex 2. 16. Furthermore, the mobility scheme strengthens the establishment of harmonized higher education systems at regional and continental levels. It contributes to mitigate brain drain and promote brain circulation within Africa. It also provides an opportunity to experience cultural exchanges between students coming from various African countries. 17. Several thematic fields that are relevant to the Sustainable Development Goals (SDGs) and Agenda 2063 were considered in the Master’s and Doctoral studies. These include agriculture and food security, natural sciences, engineering, infrastructure and energy, medical sciences, governance and social sciences. • lack of sustainable funding from Member States for academic mobility scheme to launch new calls for the coming years. There is increasing concern due to external funding dependency and limited contribution of African Governments. 19. For the academic mobility scheme to be effectively implemented, a number of complementary initiatives are required to ensure quality assurance and harmonization. 20. Pan-African Quality Assurance and Accreditation Framework: The rapid growth in the number of students and higher education institutions and the increased focus on employability have made quality and quality assurance central topics. The Commission has, therefore, initiated the development of a Pan-African Quality Assurance and Accreditation Framework (PAQAF) to provide a continental platform for enhancing the provision of higher education quality and promoting compatible methodologies. PAQAF was validated by representatives of several national and regional Quality Assurance Agencies, endorsed by the Ministers of Education and adopted by the Assembly of the Union at its January 2016 Ordinary Session. 21. Continental Accreditation Agency for Higher Education: The establishment of a Continental Accreditation Agency for Higher Education as stipulated in the First Ten-Year Implementation Plan of Agenda 2063, is crucial for the effective operationalisation of PAQAF. 22. African Continental Qualification Framework: Similarly, there is an urgent need to initiate the development of an African Continental Qualification Framework (ACQF) to facilitate the harmonization of higher education and reinforce the implementation of the Addis Convention. The ACQF will facilitate mutual recognition of qualifications across the continent and enhance intra-Africa mobility of students and academics. It will also provide a platform for transferability of credit across various education systems, including Technical Vocational Education and Training (TVET). 23. The ACQF would integrate existing National Qualification and Regional Qualification Frameworks for comparability and equivalencies of qualifications across nations into an African-wide structure. Furthermore, the development of ACQF will be instrumental in ensuring youth empowerment and employability across Africa, by aligning TVET skills portability initiatives with ongoing work on harmonisation and quality assurance in higher education in Africa. This is necessary if Africa is to harness its demographic dividends. 24. It will be recalled that at the January 2016 Summit, Member States and partners were requested to promote alignment of TVET Skills Portability initiatives with on-going work on harmonisation and quality assurance in higher education. The Heads of State and Government also expressed the commitment of Member States to establish a harmonised mechanism to ensure comparable higher education in Africa. 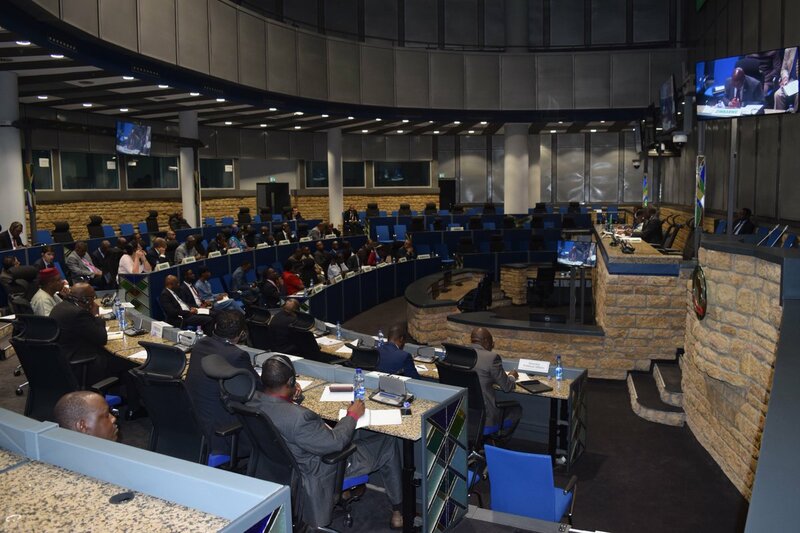 Furthermore, through Declaration on Migration [Assembly/AU/Decl.6(XXV) the Assembly of the Union, at its 25th Ordinary Session held in Johannesburg in June 2015, the Assembly of the Union committed to undertake actions that would enable recognition of credentials for facilitating transferability of knowledge, skills and expertise. 25. At the AU-EU 2017 Summit in Abidjan, the AU and EU Heads of State and Government of Member States agreed to support concrete initiatives in terms of recognition of qualifications, and to better link education and skills to employment. 26. Addis Convention on the Recognition of Academic Qualifications: The ratification of the Addis Convention on the Recognition of Academic Qualifications, which was adopted in 2014, is necessary to strengthen the process of harmonisation. Since its adoption, several Member States have reaffirmed their commitment to ratify it. At least ten (10) ratifications are needed for the Convention to enter into force. The Commission is working with UNESCO to expedite the ratification process. So far, 17 Member States have signed the Addis Ababa Convention, one of which has ratified it. 27. 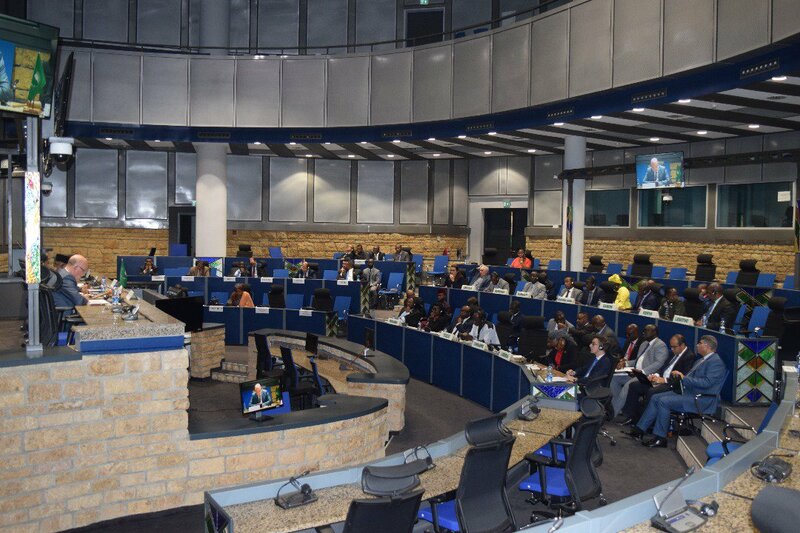 The Addis Convention provides an important instrument to foster cooperation among African countries towards the recognition of qualifications and effective quality assurance and accreditation mechanisms at the national, regional and continental levels. The Convention provides a legal mechanism to strengthen cooperation among Member States in the harmonisation of higher education. 28. Academic mobility demands several enabling factors, including comparable high quality institutions of higher education, the availability of credit transfer systems, and instrument for recognition of studies, to name but a few. 29. Academic mobility also requires conducive visa procedures for both students and staff. The early entry into force of the Protocol on the Free Movement of Persons and the African Passport will go a long way toward removing this major hurdle. Meanwhile, I wish to encourage Member States to contribute to the success of this scheme by facilitating visa processes for students and staff. 30. Adequate financing support from Member States is also required to effectively implement the academic mobility scheme and other higher education initiatives. I encourage Member States to demonstrate their commitment to this scheme by making financial support available and ensuring its sustainability. This is critical, as it helps reduce the AU’s dependency on foreign sources of funding for a scheme of which African youth are the largest and most important beneficiaries.